ELIZABETH CITY, NC ––The all-wheel drive and city-smart 2016 Chevrolet Trax can take you anywhere and leaves no corner unturned. Discover big possibilities in a small compact SUV package. Learn more about this fun compact SUV by downloading the 2016 Chevrolet Trax Brochure. The 2016 Chevrolet Trax offers large cargo space, 15 standard storage areas, 60/40 split flip-and-fold rear seats, and a fold-flat front passenger seat allowing you to easily tote all your adventure gear along. Chevrolet signature style on the outside, and sleek details on the inside give the Trax an athletic look. 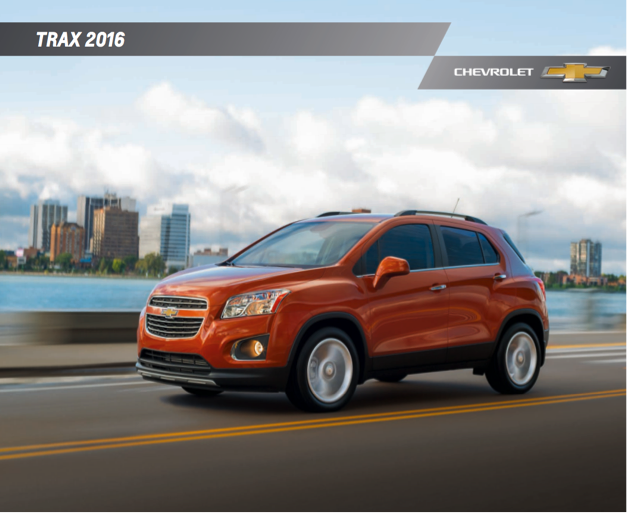 The 2016 Trax is known for its versatility and nimble handling, but most of all for its incredible safety. Safety features include rear park assist, 10 standard air bags, hill start assist, Stabilitrak electronic stability control, and a rigid high-strength steel structure around the passenger compartment. A five-star overall vehicle score for safety from the National Highway Traffic Safety Administration will ease your mind on any road. The Trax delivers everything you would expect from Chevrolet including technology like OnStar and built-in 4G LTE Wi-Fi available on the standard 7-inch touch-screen display, Chevrolet MyLink with Bluetooth wireless will keep you entertained and connected. Download the 2016 Chevrolet Trax brochure to decide what features you want, then stop by Perry Auto Group to purchase or lease your 2016 Chevrolet Trax. Perry Auto Group has two dealership locations to serve you better at 1005 W. Ehringhaus St, Elizabeth City, NC, 27909 or 1001 Halstead Blvd Elizabeth City, NC 27909. Stop in for any of your auto or community needs, or feel free to give us a call at (252) 338-9100.